Want more traffic from Google in 2019? Then you are in the right place. Because I will take you through 25 actionable SEO techniques that will definitely help you to rank your webpage on the first page of Google search result. Actually, SEO is a never-ending process. In order to provide the most accurate and best result, search engines keep updating its algorithms and are getting smarter day by day. And if you have been involved in SEO you would have noticed it for sure. Just follow me I will disclose every single strategy that will work Great in 2019. Google reviled RankBrain algorithm way back and it turns out a HUGE game changer. In 2018 many web owner experienced dramatic changes in their page rank. It’s all because of the RankBrain. As you can see, if visitors are satisfied with the web page they clicked from SERPs, Google will rank them up. You have searched for “How to make a WordPress website“. Google will display the content which is already ranked on the first page of search engine. Now, If you click on the #1st result (what most people do) and found the content is terrible you bounced back and then hit on the #4th result and stayed there since you found the article is really amazing and actually worth reading. 1. You bounced back from the #1st result immediately. 2. You clicked on #4 and stayed there. If RankBrain found the same thing happening back to back from the other users also then it will degrade the #1 and upgrade #4 at the top of the search result. Then how do you optimize your site for Google RankBrain? Firstly, Try to improve organic CTR of your web page. Now, what does it mean? Google RankBrain loves the web page which gets more click in the search results. …”People are interested in this result. Let’s boots it to the top of the search results”. However, if people don’t click on your result then Google will drop your page in the grave. That is why optimizing a site for organic CTR is really important. Write meaningful tile, add power words, add call to action sentence and add numbers to your blog title. This is the easiest way to get more clicks. However, by writing a misleading title and description tag may improve your CTR but hamper your bounce rate and Dwell time. So if you are planning to add a misleading title tag to get more click on your website then drop the idea as soon as possible. Start writing a compelling introduction and get straight to the point. Anyone who lands on this page will get a clear idea what my piece of content is all about. You might have noticed that I have broken up the content into small sections. Because it is super easy to read. Especially if readers are active on mobile or tablet. By this way, your Dwell time will improve and bounce rate will decrease. Having said that our next SEO technique is based on mobile devices. Today 60% of Google searches are from the mobile device and mobile searchers are growing fast. People love to access the internet while they are on the go, which means local SEO is going to become even more popular. As a result, brands will face a big opportunity of marketing their business at a local context. If you are not sure if your site is MFI. Here is the recommended tool from Google that will analyze your website and let you know if your site is mobile friendly. 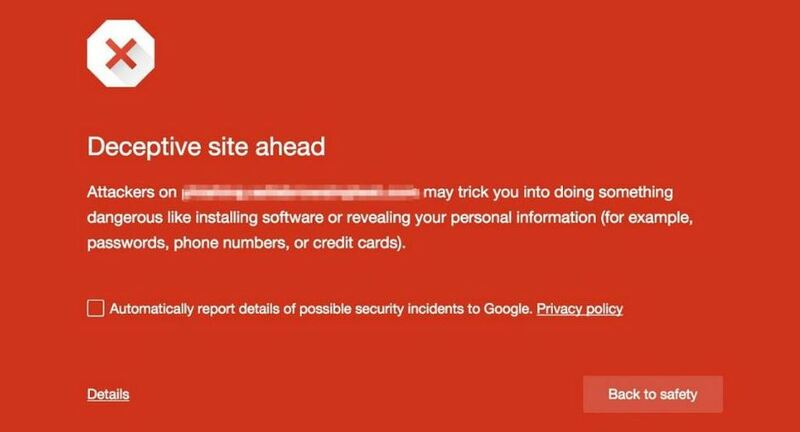 This tool even detects the problem (if any) of your site. So you can work on that and make your site mobile friendly. It’s an awesome tool that let you know which page(s) on your site isn’t mobile friendly… and how to fix them. Since 60% of the traffic is coming from smartphones, voice search is the next big thing for SEO. Google reports that 55% of teens and 40% of adults perform voice search every single day on Google app. In fact, Andrew Ng, Chief Scientist at Baidu, has confirmed that by 2020 50% of all searches will be made through voice search. As the search continues its migration to mobile devices and a larger percentage of those queries are initiated by voice, the range of virtual assistance such as Cortana, Siri, Amazon Alexa, Google Assistant, Viv and Google home is growing really very fast. Voice searchers performed in Google are up 20x since 2010. This statistics reveals how important a voice search is. That is why almost every Smart Bloggers or SEOs have optimized some of their content for voice search. How do you optimize your site for Voice search? While performing a voice search, people generally ask a specific question, seeking for a quick and relevant answer. • How to make a WordPress website? • How to move a website from HTTP to HTTPS step by step? etc. When this happens, Google usually picks a page that contains question and answers. And when I opened the website, I see the content has the same voice result. So try to include a question and answer in your content. Also, it has been seen that 4 out of 10 voice search result come directly from a Featured Snippet. That is why along with optimizing for voice search it will be a great move to get Snippet for your post. Featured Snippet is stealing searchers attention and clicks from organic listing. According to Stone Temple Consulting, almost 30% of Google search queries show Featured Snippet. A snippet is a type of rich answer in the search result, where an answer is pulled directly from your website and featured in a box above all the other results. …and the best part it will give a link back to your website. If you look closer you will find the result showing in the featured snippet is the same result which is at #2. Well, this is how snippet feature is going to steal the visitors from the ranked post. How to get Featured Snipped for your site? 1. Identify commonly asked user questions related to your business. 2. Provide a clear and direct answer to the question. 3. Develop a list of related queries users have that are related to each selected question. 4. Make your content comprehensive (address all the closely related questions users have on that topic). 5. Offer value-added information beyond the direct answer. Blackhat SEO doesn’t work for long term. Sooner or later Google will definitely penalize you. I have seen people are getting attracted towards Black Hat SEO strategies but trust me guys it will ruin your hard work. Instead, focus on white hat SEO techniques. It’s your call of course. But in my mind, it’s not worth it. The outdated post shows an adverse effect on the overall SEO of your website. Suppose a few months back you had written an outstanding post on “How to customize a WordPress website”. And the post had covered every single detail of that time. …as we all know WordPress 5.0 has been rolled out and the Editor is updated with Gutenberg. Now if someone visits that old blog post and found it outdated they will immediately bounce back from your site. 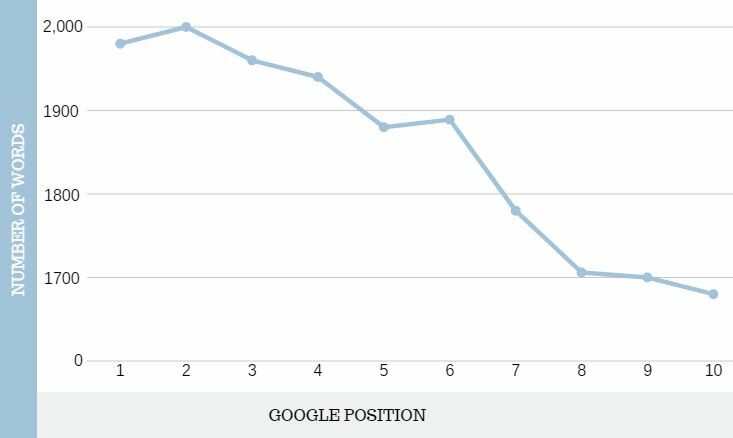 It gives a signal to Google that people are not liking your content, so Google will drop your site like a stone. So if you have any post sitting idle, outdated then consider Upgrading it. If not then remove it from your website. This is the best SEO strategies you can always rely on. Writing an in-depth long comprehensive post that covers every point related to the topic will definitely CRUSH the short 500-word blog post. After analyzing thousands of Google search results I found that the average word count of a first page Google result was roughly 1900 words. Why does long post work better? The long post shows Google that you are providing in-depth information to searchers. Even searcher loves the post that contains every detail about the topic. In-Depth content helps you to surpass your competitors way fast than you think. Since we have talked about surpassing the competitors why not to look up at their site. This is what our next strategies will be on. Analyzing your competitor’s website gives you an idea about your potential visitors. Read their complete post and try to figure out if you can provide additional information to that post. Also, go to the comment section and see what people are commenting. However, If you find they are seeking more information then write a completely comprehensive guide on your blog for your potential visitors. There are two ways to get the best keyword for your niche. Enter a random keyword into a tool like Google keyword planner. Find the keywords that helped your competitors to rank their blog post. Both strategies work well. Stealing your competitors best keyword is an art. Then enter the site’s homepage URL into a tool like SEMRush or Spyfu. And you will get a list of keywords that already rank for. Now focus on the keyword that your potential customers search for in Google and create an outstanding content around it. “The Front page of the Internet” also known as Reddit is a treasure for keyword research. Suppose you want to write an article on “servers”. Simply go-ahead to the search bar of Reddit, type servers and hit enter. …then choose the most suitable threads and subreddits from the results. Scan and analyze for the terms that appear again and again. In this case, I found a keyword “network monitoring”. If people are discussing these topics on Reddit, chances are they’re searching for the same terms in Google. …and to cross-check take that keyword and search on Google. And with that, let’s move to our next SEO techniques. Keep in mind you always rank #1 for the keywords that you have created. Creating your own keyword provides a unique identification to your site. Brian Dean of Backlinko did the same thing and came up with his own keyword “Skyscrapers”. …and he is getting a great amount of traffic on his post from that keyword. I also believe rather than being generic and choosing keyword stuffed domain, come up with some unique idea and get a brandable domain name. It means when someone hears your domain name it should sound like a brand. This is what exactly Amazon, Google, Bing, Zara, Facebook has done. Next time when you are about to write a new content which includes your own techniques — name it. This is going to blow your mind! A few days back I published a post “An Ultimate Comprehensive Guide For SEO“. My target keyword for that post was “guide for SEO”. I embed long tail keyword in that. As a result, I started getting traffic from other sets of keywords like “Ultimate guide for SEO” and “comprehensive guide for SEO”. In fact for the keyword “ultimate guide for SEO”, my post ranked on the top of the search result. By this way, you will get traffic faster… and eventually, rank the post for more than one terms. Even my post secured first place for the keyword “ultimate guide for SEO” for voice search. Along with target keywords start adding LSI keywords in your content for better SEO results. LSI keyword is a phrase or a word that supports your main keyword. You must be getting curious about how to find LSI keyword for your niche? 1. LSI Graph, a free tool. You just have to enter your main keyword and you will be loaded with tons of LSI keywords for your niche. 2. Use Google search result itself. You probably have noticed that whenever you search for something Google will suggest some related post at the bottom of the search result. The words in bold or even the entire phrase can be used as an LSI keyword. …This page is full of relevant content and people will love to read it and they will rank your page on the top. Pragsu is words and phrases that keep visitors on your page. …or leave the site right away. But Google will drop your page when people bounce back from your site immediately. It’s a Google algorithm – Rank brain which decides everything. That is why it’s really important to hold your visitors on your page for higher ranking. Whenever your content needs a Pragsu, add them. You can create your own Pragsu…or just use above example. Why Wikipedia will help in SEO? Because you will find untapped keyword and internal link building strategies that you will not find anywhere else. Go to Wikipedia and enter your target keyword. Look how many keywords I got (marked with both blue and red boxes), it’s huge. Also, see how beautifully Wikipedia has created the internal links (marked with red boxes). This is what I was talking about !! Now head toward “Contents” section — that displays closely related keywords and topics. I am pretty sure you will not get any better resource (free source) than Wikipedia for finding untapped keywords. Sure, Google Keyword Planner is brilliant for monthly search volume info… but not good at generating new ideas. If you want to find more keyword from wiki then click on internal links and dive into treasures. Want even more traffic…Then behave like a brand. Once you start behaving like a brand, Google will start treating you as a brand. However, you don’t have to bang your head against the wall to get the brand treatment. So how do you do that? Google is a search engine software, follows its algorithm. It doesn’t know if McDonald is a brand… They identify brands from online brand signals. 1. Unique Site name: Don’t be obsessed with keyword stuffed domain name. Come out of the box with some unique ideas and choose a brandable domain name. If you want to start an e-commerce website for clothes then rather than choosing – “onlineclothes.com” or “buyclothesonline.com” it will be better to name it as “moonybe.com“. 2. Professional About Us Page: Real brands have contextual about us page. They talk about their company, vision, strategies, clients, and many more. So make an epic about us page for your website. 3. Contact Page: Contact page gives a brand signal to Google that your site is genuine. It will be great if you mention your physical address too. 4. Professional email account: Running a website without a professional email looks spammy. Which email address seems more trustworthy to you? Basically, it’s an On-Page SEO strategy. Having an informative contextual external link on your post gives a signal to Google that you are trying best to provide full information to your visitors. Google is after providing “The Best” result to their searchers. So why don’t you support Google and make them happy to get the reward from them. Google gives credit for linking out and even if they don’t your visitors will. “The web is all about linking. That’s why they call it web”. Shai Aharony of Reboot found an amazing correlation between outbound links and the Google algorithm. — Pages with outbound links rank higher than the page with no links. So link out at least 3 quality, contextual resource in every piece of your content. Either you leave thousands of traffic from that page or use this powerful SEO technique to boost it on the first page of Google SERPs. No matter how good your contents are but if it is not well optimized then it may lose in SERPs. So what to do?… Throw some internal links their way, simple!! Then hit on “Average Position” to see the average ranking of each keyword. …and be sure those keywords have some decent search volume. For example, this page is ranking #12 for the keyword “SEO 2018“, having an impression of 987 and 13 clicks from position #12 of Google search result. Head over to Google keyword planner, feed that keyword and check the stats. This keyword gets 1k monthly searches that are pretty good. So we can work with this keyword. …add internal links from those authoritative pages to the landing page that need a boost. Before Hummingbird, Google only used to analyze the individual keyword of the page. But in 2013, a new algorithm was rolled out called Hummingbird. Because of that Google now completely analyze the TOPIC of the page and rank search result accordingly. That’s how Semantic SEO comes into action. Semantic SEO is a process of providing more information to visitors about the topic they have searched for. First, optimize your page around your target keyword. Then cover subtopic related to your page. It means you answer the first question and then immediately answer the second, third, fourth, or fifth question right after that. Google loves to send the traffic to pages where searchers will find in-depth information on their queries. 80% of online searches are people looking for an in-depth answer. 10% are people trying to go to a specific website. So, optimize your content for semantic SEO. You can easily find subtopics using a tool called LSIGraph. Once you include important subtopics in your content, it will be optimized for semantic search. The mistake that most of the new webmasters do. Let’s say you have two links pointing to the same page on your site…and both of the links are on the same page. Which anchor text does Google pay attention to? The first one? The second one or Both? According to First Link Priority Rule, the first one? So what is First Link Priority Rule? 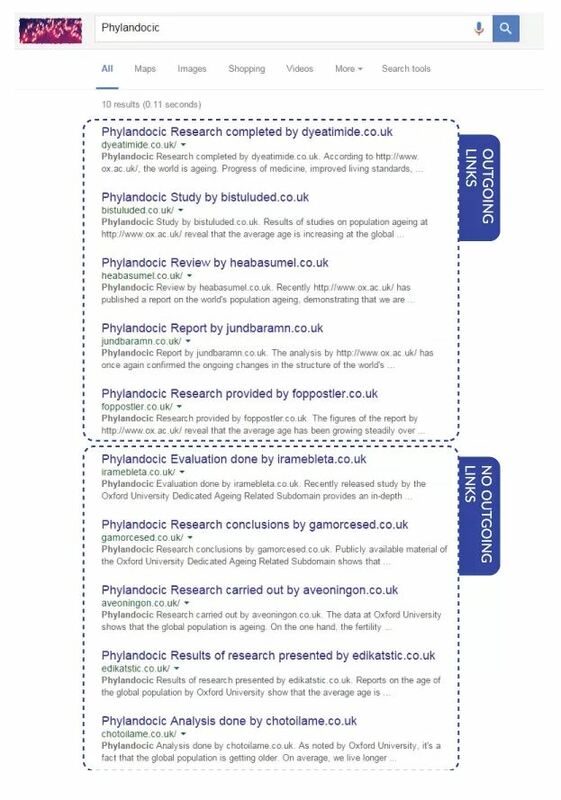 When a search engine crawls a web page and finds two links pointing to the same page, it will count the first link and ignore the second one. and when Google fetch your site, it crawls your navigation menu before your content, so all the links in your navigation menu become “first priority links”. That’s mean when you drop a link to your “SEO” page in a blog post with the anchor text “SEO technique”. Unfortunately, the “SEO technique” anchor text will be ignored by Google. It only counts the anchor text it fetches first i.e “SEO” in the navigation bar. By this Google ensure that the site owner doesn’t bombard the search engine bots with hundreds of similar links pointing to the same content. An Infographic is a representation of information in a graphic format to make the content easily understandable at a glance. Adding interactive content like an infographic to your website can be one of the most effective SEO strategies in 2019. It’s a tested technique that will abound in almost every situation. No matter what, it will simplify the presentation of a large amount of data, content, relationships or the variations of data very easily. This is the same infographic I have used in my post – on page SEO strategies. It helped my visitors to understand the entire content very easily. Putting images, videos or graphs in your content is a great way to make your site visually appealing. Optimized images not only help in driving more traffic but also keep your visitors stick to your post. It reduces bounce rate and increases Dwell time. People love reading content having eye-catching images and graphs which explain the content in a glance. Also having a focused keyword in the “image title” and “alt text” plays a significant role in on page SEO strategies. So make sure to use keywords in alt text and title of an image to improve overall SEO of your website. To write an appealing post for your audience, you need to know them. What are they interested in? what are their requirements? why they have come to your site? from where they are coming? There are lots of things that you have to analyze, from their interest to their region to their ages. Because analyzing your audience is essential for SEO as well as advertisements for your product. How do you analyze your audience? There are several ways to analyze your audience. But the best one is Google Analytics. Google Analytics tells you at what time your audience is on your site, where they’re from, which pages they like most, what they are interested in and whether they use a desktop or a mobile device. That’s all are valuable and usable information. Closely monitor the data and optimize your site accordingly. Page speed is also known as site speed — is a measurement of how fast the content of a web page loads. how long it takes for your browser to receive the first byte of information from the web server. Google has indicated site speed is one of the SEO signals used by its algorithm to rank pages. Also, It has been seen that page with longer load time tends to higher bounce rate and lower average time on page. It completely hampers user experience. Despite numerous benefits of HTTPS, many website owners have not switched there site from HTTP to HTTPS yet. 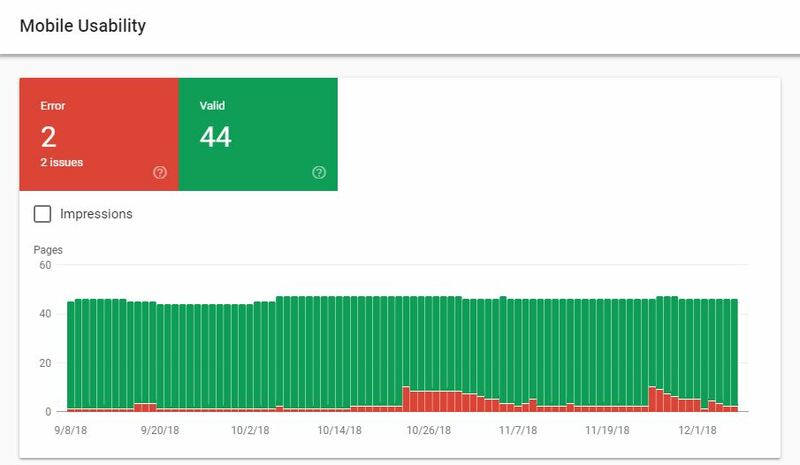 From an SEO point of view having an SSL certificate on your website adds a positive impact on Google as well as on your visitors. In fact, Google gives preference to the site having an SSL certificate and beware its searchers if the site doesn’t have it. Due to this, you will lose almost every potential visitors of your website. To learn more about getting an SSL certificate here is the step by step guide on HTTPS. These are the tested SEO strategies that will definitely help you to rank your website on the first page of Google search results. I am just curious to know which technique you are going to try first? Let me know in the comment section below…!! Yes! Let me know by leaving a comment below right now.